From the “I Hate Cilantro” Facebook page. If you’re a hater, I have news for you: your distaste is partially genetic. But depending on how you use cilantro, you can retrain your taste buds – or technically, your olfactory buds, er, receptors. Why would you want to do that? Because you’re missing out! 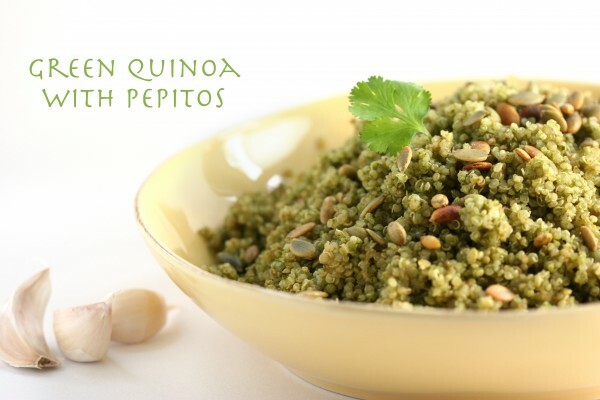 And I’ve got JUST the recipe to cure you: Green Quinoa with Pepitas! If you haven’t discovered quinoa (pronounced “keen-wa”) yet, it’s my go-to grain for everything from side dishes to soups. There are other reasons to love this recipe – it’s packed with good-for-you foods and it’s a healthy alternative to high starch side dishes like rice or potatoes. Plus, it couldn’t be easier. The cilantro? It adds color and a hint of flavor, but it’s not overpowering at all. Trust me. Place the spinach, cilantro, and broth in a blender and blend until everything is pureed. Add the milk and salt and blend again. In a medium saucepan, heat the butter and oil over medium heat. When the butter stops popping, add the rice and saute, stirring frequently, until it just starts to brown, 3-4 minutes. Add the onion and garlic and cook for 1 minute more. Add the spinach puree and stir well. Increase the heat to high and bring to a boil. Cover, reduce the heat to low, and cook for 20 minutes. 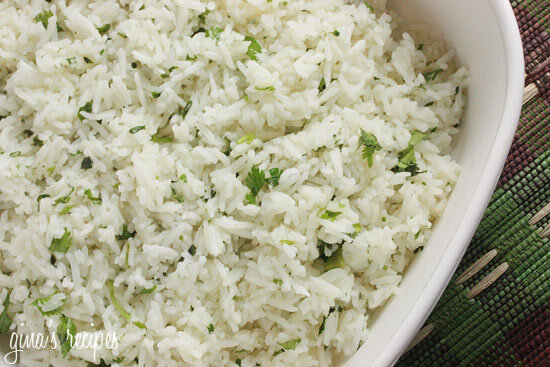 Stir the rice carefully to avoid crushing it, cover and cook for 3-5 minutes more. Remove from heat and let the rice steam for 10 minutes in the covered pot. Sprinkle with the pepitas and serve. Regarding the cilantro conundrum and other mysteries, when I have “WHY” questions about food I turn to Harold McGee – kind of the “Bill Nye the Science Guy” of all things food. You can see what he says about cilantro here.